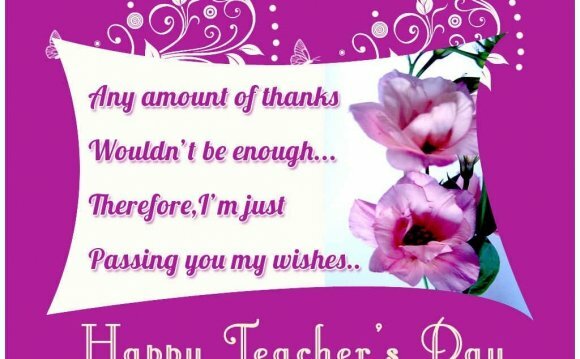 Use these teacher's appreciation quotes to convey your expressions and gratitude to your favourite teacher and wish them a very happy Teacher's Day! - Author UnknownThe teacher who is indeed wise does not bid you to enter the house of his wisdom but rather leads you to the threshold of your mind. The greatest sign of a success for a teacher...is to be able to say, "The children are now working as if I did not exist." - Maria MontessoriA good teacher is like a candle - it consumes itself to light the way for others. Unknown AuthorEducation is not the filling of a pail but the lighting of a fire. Teaching is not a lost art, but the regard for it is a lost tradition."